Filipinos are fond of reading comic strips since Kenkoy and Pugad Baboy was published several years ago. As the technology changes, a lot of Pinoys still reading comic strips in newspapers. But whenever they missed reading one particular issue,there’s an online edition of every comic strips nowadays. 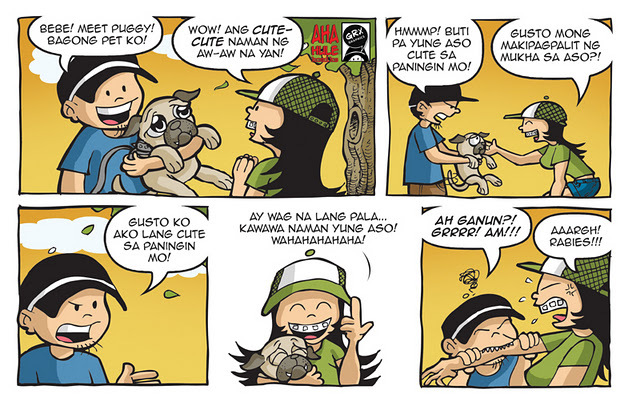 I’ve been a comic strips fan since I read Greco Milabiling’s Aha Hule Komiks on Manila Bulletin two years ago. I’ve found comics interesting to read while working or just want to laugh and forget your own problems. 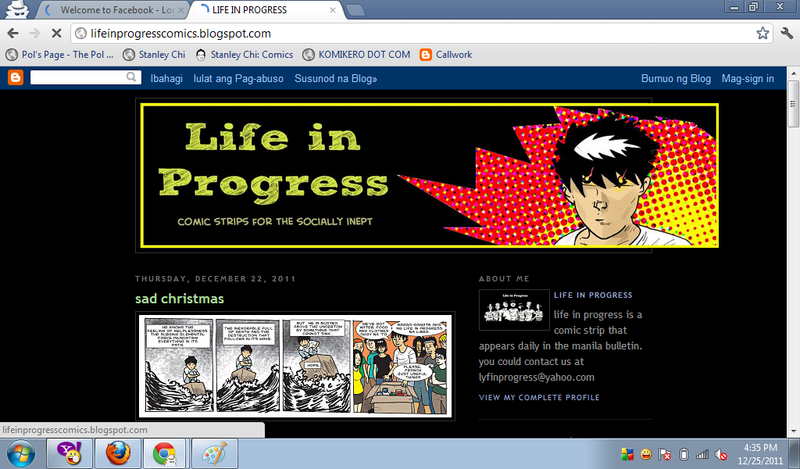 Here’s the list of awesome online Pinoy comic strips that I discovered. Andrew Villar’s superhero inspired comic strip, publish every Sunday at Manila Bulletin. 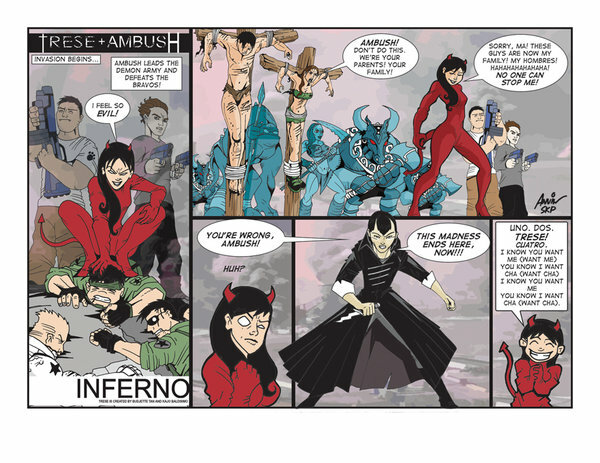 Ambush, the alter ego of a young girl named Amber, who fought a lot from aliens and other sci-fi creatures you might think of. 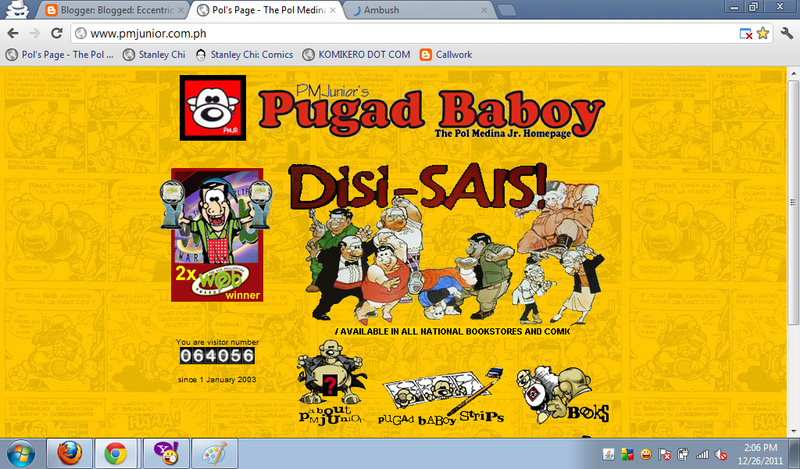 I saw a compilation of Pugad Baboy books since I was in High School. Everytime I read it, I can’t stop laughing at it. I read my friend Julius Villanueva’s Life in Progress every now and then. I love Wang. He’s funny. It’s Hazel Manzano’s adaptation of a life in call center. 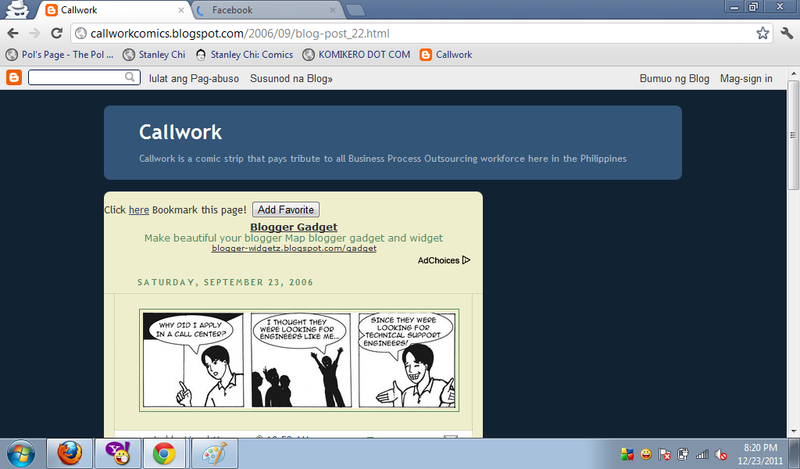 I can relate with her topics on how was life in a BPO industry.